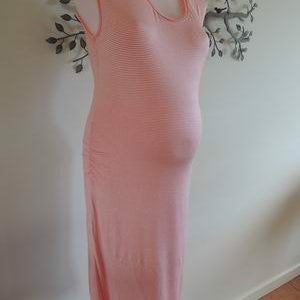 An amazing dress in a stunning bronze by Ninth Moon Maternity, these are a best seller. This dress is sleeveless and features a square neck, and a tie through the back, allowing the dress to grow with you. 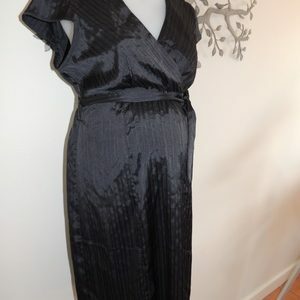 There are flattering pleats for your baby bump and the fabric does have some stretch. 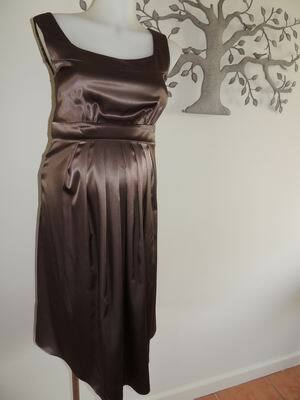 Be the first to review “NEW Bronze Satin Maternity Dress” Click here to cancel reply.